• It’s reclaiming our own way of saying goodbye, not relying on generic merchandise as the only possibility. And here’s another one (in addition to this favorite and another favorite) I just found that is fabulous. 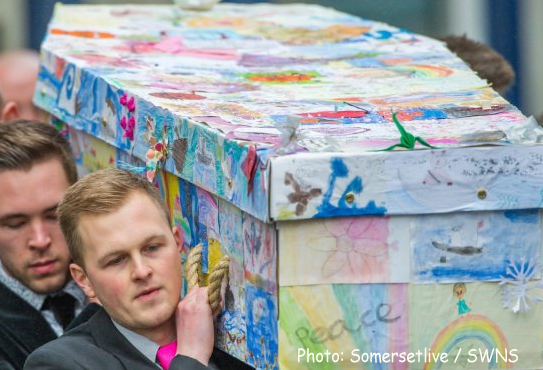 Young school children adorning the casket of their beloved headteacher with their drawings. Please, can this become a thing?